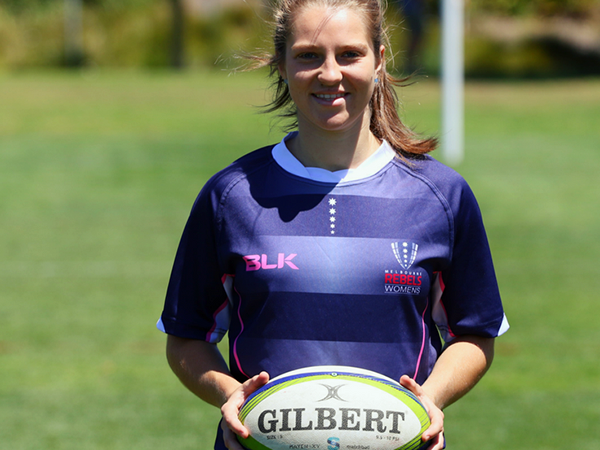 Melbourne Rebels and Unicorns Women’s Head Coach Alana Thomas has named her 30-player squad for the inaugural season of Super W, which kicks off in March. The historic squad, dominated by home-grown Victorian talent, features a blend of youth and experience, including Australian international Ashley Masters and Samoan international Sharlene Fagalilo. “It’s a really good and exciting mix of girls, who I think will grow and develop over the course of the season and hopefully flow into the seasons to come,” Thomas said. “We’ve got some really experienced girls with Sharlene (Fagalilo) and Ashley (Masters), who have played international rugby before and then you mix in there an 18-year-old girl in Janita (Kareta), who’s played 7s rugby for the first time last year and is a pure athlete. The squad features six players from the Melbourne Rugby Club – Georgia Cormick, Jocelyn Davis, Casey Homewood, Samantha Homewood, Anna Knight and Elle McIntosh. Thomas predicts the first season of Super W will surprise fans with an entertaining style of running rugby. “There’s going to be a lot of people watching women’s rugby that are going to be intruiged and appreciate the skills,” Thomas said. “It’s not like the men, our players don’t have the same tactical kicking strength so they play more running rugby. The Rebels Women will contest the inaugural season of the Super W against ACT, New South Wales, Queensland and Western Australia in the new five-team national competition for the traditional 15-player format. For Thomas and her squad, the new competition has already had a positive impact on women’s rugby in Victoria with more players than ever before triailing for selection, but that’s just the beginning. “We had over 50 players training over the trial period so it was definitely hard to get down to the 30 players for the final squad but it was a nice selection headache to have,” Thomas said. “They’re excited about it, they’re working hard and really embracing it all so I’m excited to see how the 30 players that we’ve picked go in the competition. Rebels fans will get their first opportunity to see the Rebels Women in action before the kick-off of the 2018 Super W with a intraclub trial match at Moorabbin Rugby Club on Saturday 3 March at 1.00pm. The Super W draw is expected to be finalised this week.